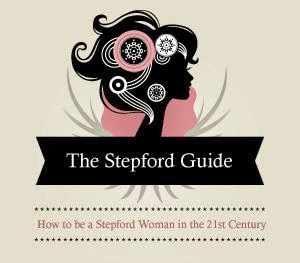 I am so excited to put a spotlight on The Stepford Guide today! 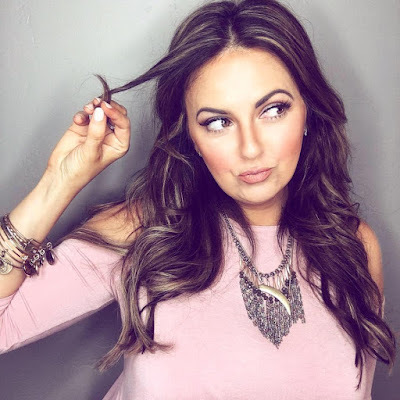 Check out the notes from my interview with Andrea below, and let me know what you think of her fabulous blog! 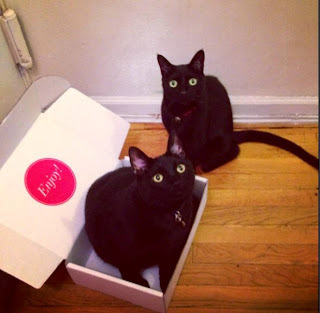 This website and blog was created by Andrea Young, a creative twenty-something residing in Park Slope, Brooklyn NY, with her fiance Matt Cannon, and their 2 cat babies - Hendrix and Miss Piggy. Andrea is actually my soon-to-be sister-in-law (engaged to my brother Matt), and I couldn't be happier for her and I am obsessed with her blog! Matt and Andrea both work remotely from their home. Matt owns a graphic design company (don't you love The Stepford Guide's logo?) 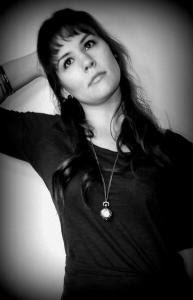 and Andrea works for several marketing companies as a freelance writer. They both also do some fun music projects here and there, and Andrea also squeezes in an acting or singing gig when she can! I asked Andrea how she got this blog started, because I just think the concept is original and so fun and exciting! She said she just started subscribing to these monthly box subscriptions after seeing a feature on New Beauty TestTube on Mirror Mirror. She fell in love, and then started sampling men's boxes and foodie boxes with Matt. She wanted to share her love of the boxes with other readers and subscribers, and wanted to share her own tips, recipes (she makes a MEAN whoopie pie - trust me. 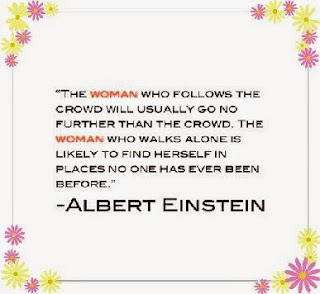 ), fitness ideas, and just other inspiration and motivation for women like her. 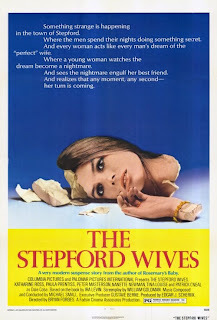 So why the name The Stepford Guide? Andrea says she has always been fascinated by The Stepford Wives movies and wished there could be a hybrid woman that actually has brains, looks and personality, all in one polished exterior. She tries to live and treat her body as naturally as possible, and feels that her mission is to be the natural Version 2.0 of herself. I love it! The Stepford Guide has over 24,000 Twitter followers! That is amazing. How did she do it? She says that her audience is a good split between men and women. She has really found a following on Twitter, and is connecting with more boxes and more fans daily! She loves the support and connections she has found through social media. Her motivation comes from the excitement her and her fiance get from reviewing the boxes and getting them in the mail. I asked her if her mail man or woman thinks she is crazy, and she said a little bit, but it is not always the same person, and she has no shame! I bet they are curious! As a new box subscriber, I wanted to know what Andrea's favorite box was. Don't you!? She said her 1st Glossybox was MAGICAL. It was the 2nd box she had ever received and was epic. Her current favorite, if forced to pick just one, would be PopSugar Must Have. I must say, I read her post about the June box, and I rushed to sign up. My 1st box will be August and I am so excited! She emphasizes that there is no 1 perfect box for everyone - it is an individual thing, so try a few and find out what suits you! Organization Tip: Check out this article on how to organize your hair items, and this article for tips on organizing your samples and their boxes. Fitness Tip: "Stick with it! Everything gets easier over time and you will see the results if you stick with your program." Fashion Tip: "Accessorize! I put way more emphasis into my shoes, purse, and jewelry, because that is what will change up my outfit every time." 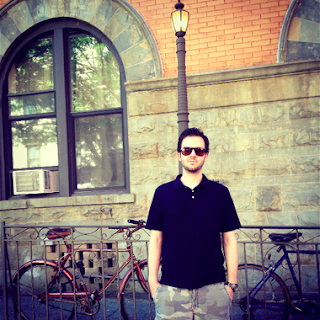 I really hope you all enjoyed this Blog Feature! I look forward to posting more in the future, and being part of other blogs as well. 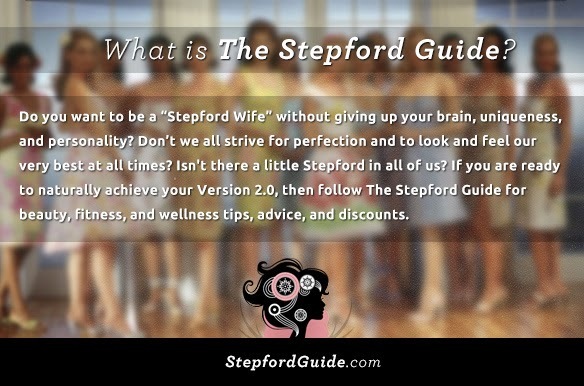 If you are reading this because you are already a fan of The Stepford Guide, please leave a comment below and make sure you follow me here on A Fit Fashionista, and check out my Facebook, Twitter, Pinterest and YouTube channels too! Thank you so much for reading, and Andrea of The Stepford Guide - thank you so much for letting me feature you on my blog and giving some great tips and information to my readers. I am so excited to see your empire grow and can't wait to work with you again soon! Good, I love it too!! What a great blog feature! I've never heard of that site before but I'm going to check it out now. That photo of the cats is sooo cute! Haha, love your cat profile photo too Jan! Def. 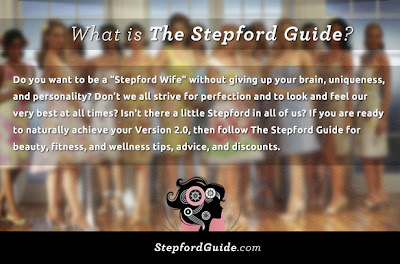 check out The Stepford Guide and thank you for commenting on my blog! Is that your cat? It looks like my mom's cat Casper!